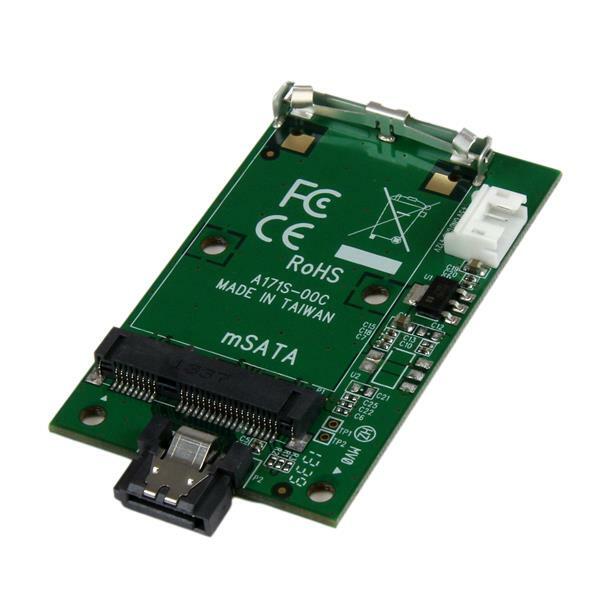 The SAT32MSATM SATA to mSATA adapter enables you to connect an mSATA SSD to any standard SATA port, ideal for connecting an mSATA SSD to an ITX computer systems that does not have an mSATA port. 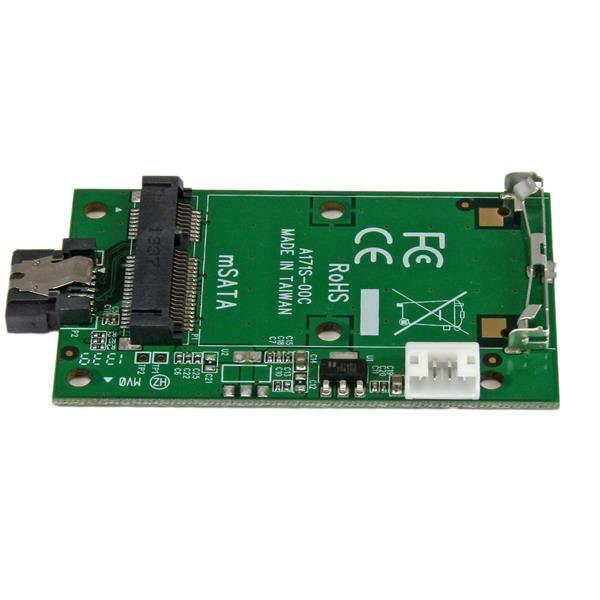 The adapter enables you to harness the speed of upgrading to a faster drive by connecting an mSATA SSD to any SATA-enabled desktop computer. Allowing for faster boot time, and increased performance in regular operation. 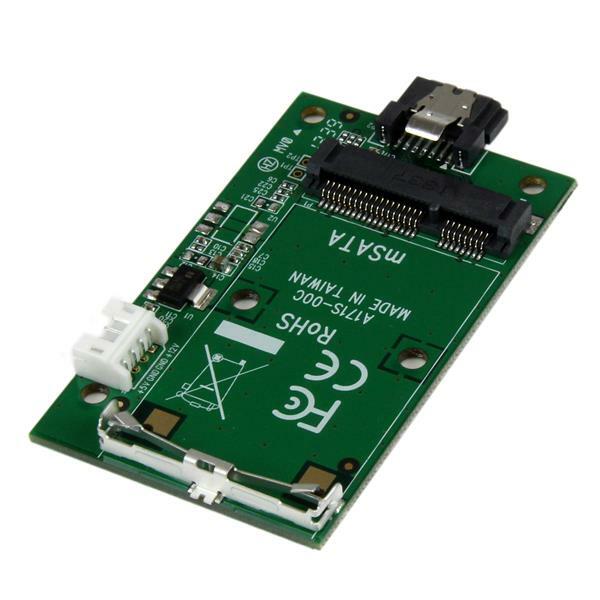 For a hassle-free, tool-less installation where space may be limited the adapter connects and mounts directly into the SATA port. 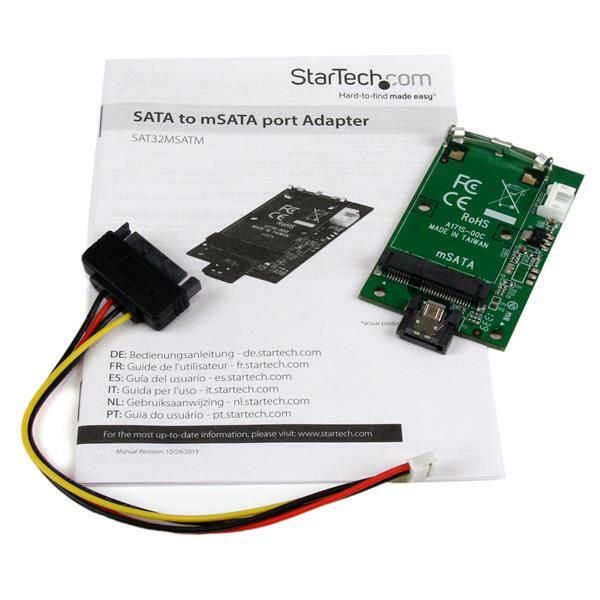 The SAT32MSATM is backed by a StarTech.com 2-year warranty and free lifetime technical support.